Salmon fishing on the Cowlitz River is available to anglers six months out of the year. Salmon on the river enjoy consistent water temperatures and plenty areas to hold and get caught by fishermen. 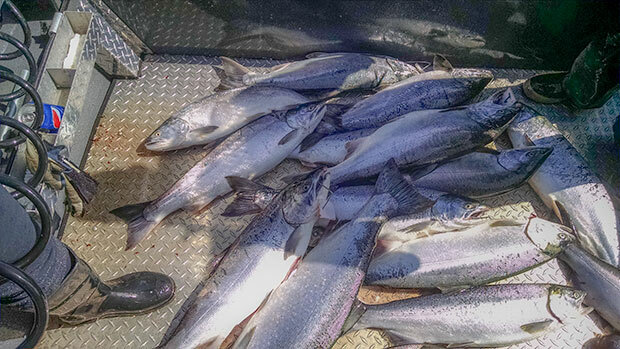 Spring Salmon season starts in April as these Chinook make their way out of the Columbia River. The Cowlitz sees returns ranging from 10,000 to 25,000 Spring Chinook that return through June. Cowlitz River Spring Chinook waste no time making their way up to the hatchery and their release point at the Barrier Dam. Fish move very quickly, so having an experienced guide is very important. These fish are targeted with herring, prawns and small egg offerings. Cowlitz River Fall Chinook Salmon enter the river in August and remain available through October. 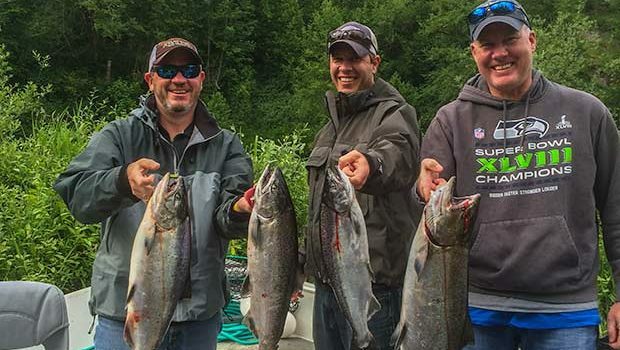 The fall Salmon run brings good weather and fishing together to make for some really nice days on the water. Fall Chinook are suckers for good eggs and as a result, my clients get to enjoy hands on fishing at its finest. We side drift and back troll divers and bait most of the time, but also do some hover fishing. Cowlitz River coho salmon fishing starts in September and will last into November. These fish are very aggressive and good biters unlike some of their coho friends in other rivers. I’m not sure whether it’s water temperature, the strain of fish or what, but these fish are not bashful. A variety of methods work on Coho and fortunately for clients all the methods involve hands on fishing for my clients. Hover fishing eggs, back bouncing eggs and even casting plugs and spoons work for these fish. Limits vary from year to year, but we often times see limits of 3-4 fish per person. For both spring and fall Chinook, as well as Coho, I fish between Longview and Blue Creek/Barrier Dam. Lodging is abundant for those looking to overnight, or fish for several days, so just let me know and I’ll get you pointed in the right direction. 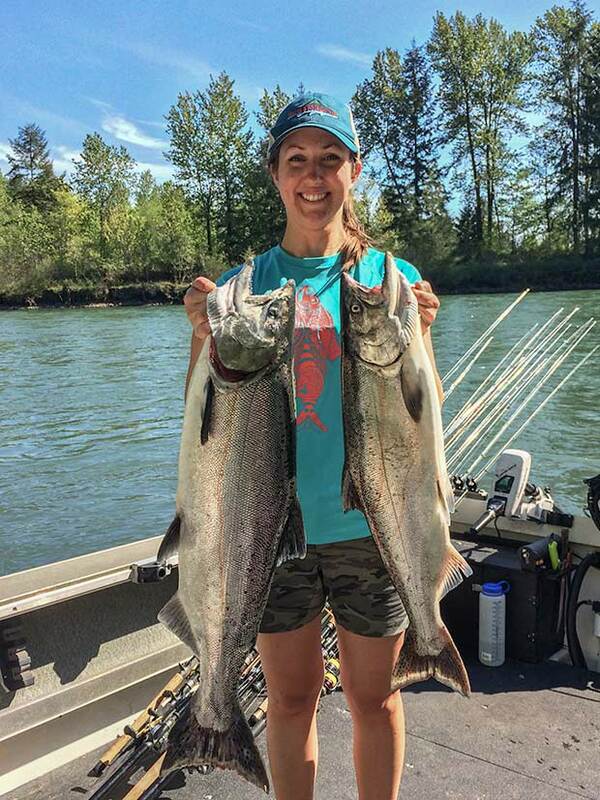 For more on Cowlitz River Fishing, please visit the Cowlitz River Fishing home page. 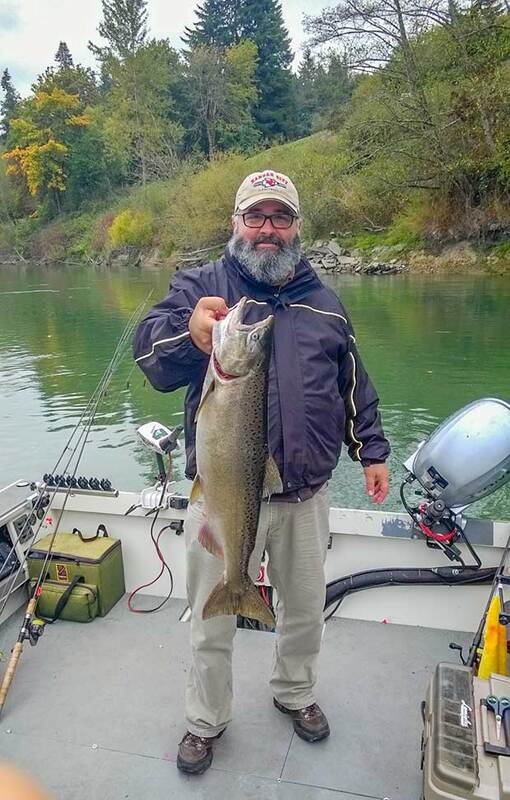 For any questions you might have about Cowlitz River salmon fishing, or to simply book a trip, contact me on our Questions and Reservations page or call 971.401.0521.